To book workshops, please register and log in first, then proceed to the Choose Workshops page. We have set aside a classroom most mornings and afternoons for you to prepare or continue with your work. 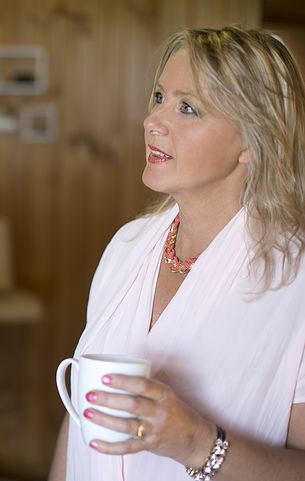 Catherine will be on hand to answer questions and to assist with your work where she can. 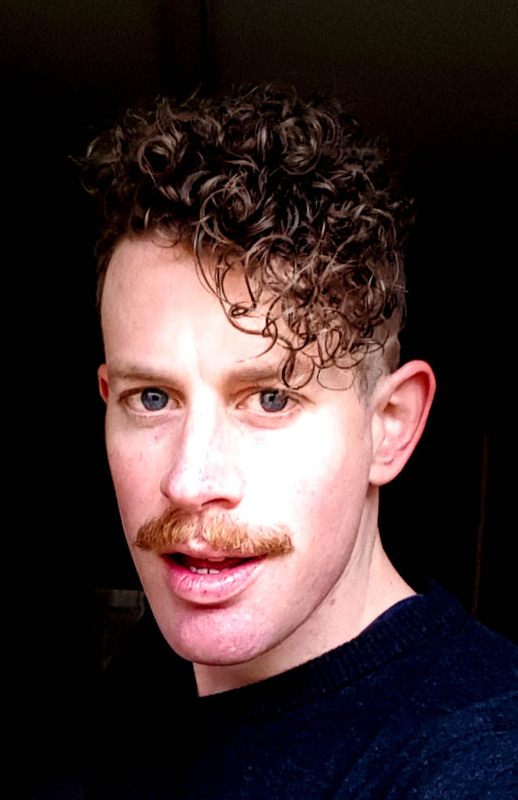 Neil will demonstrate a number of techniques with feathers, including: stenciling, bleaching, curling and cutting. Learn how to make a feather tree. Even the least impressive feather can look fabulous if you know how to torture it properly! Participants to bring a variety of feathers - the bigger the selection the better. Found feathers are fine. A continuation of Feather Mania in order to gain additional and personalised assistance in producing a feathered piece and to put into practice the morning's demonstrated techniques. 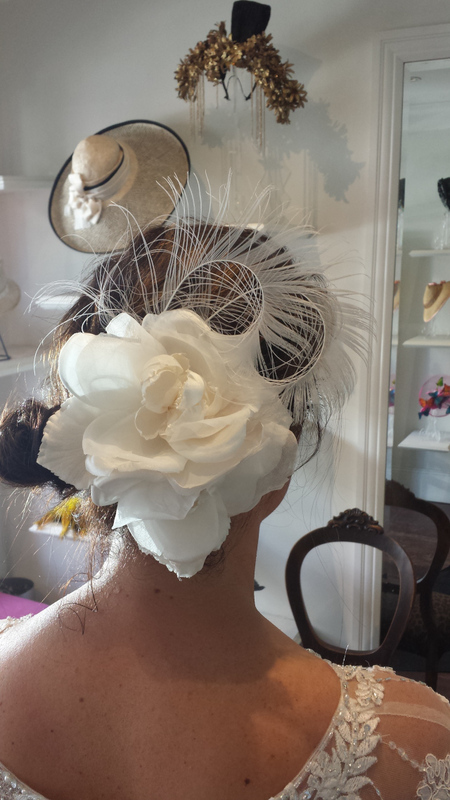 If you make hats, you will eventually be asked to make a bridal headpiece. Before that happens,it's a good idea to have a working knowledge of techniques that relate to bridal millinery. 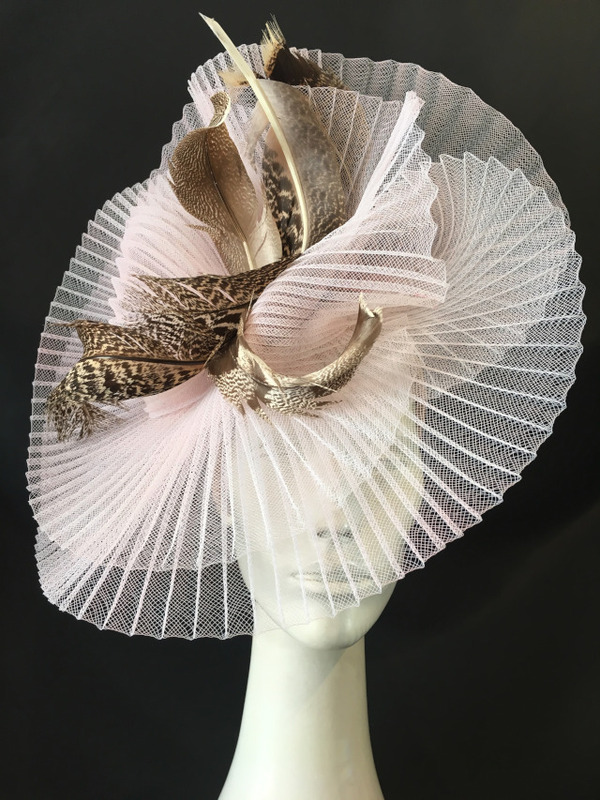 Neil will share tips and tricks in relation to handling, measuring and cutting tulle and netting for veils , how to finish veil edges,working with embroideries and lace, and how to wire lace for delicate headpieces. A continuation of Bridal Bonanza in order to gain additional and personlised assistance in producing a bridal headpiece and put into practice the morning's demonstrated techniques. Crinoline is a much-maligned product. It is the Cinderella of hat making fabrics, used and abused in low quality millinery. But crinoline is a versatile and interesting product. It comes in many forms and can be utilised in myriad ways. Many people avoid it because they simply don't know how to handle it. 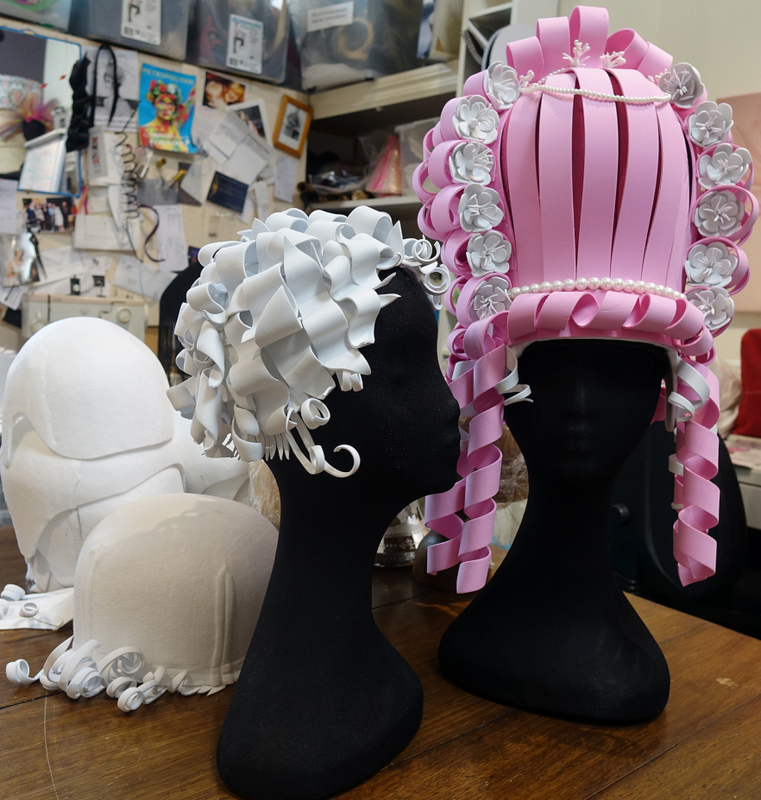 Neil Grigg's Crinderella class will help change your mind about this versatile millinery material. Neil will demonstrate lots of techniques and will share tips and tricks that will have you using crinoline with confidence. A continuation of Crinderella in order to gain additional and personlised assistance in producing a crinoline based headpiece and put into practice the morning's demonstrated techniques. Freeform headpieces from parisisal straw. Learn how to prepare and manipulate parisisal straw in a variety of different ways to produce contemporary organic headpieces. Each student will have the opportunity to complete one piece ready for trimming. 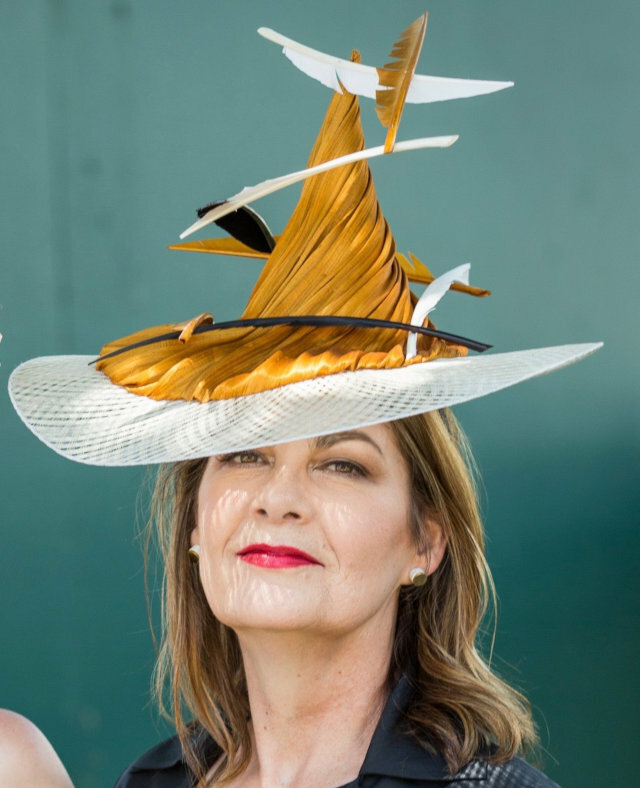 Big brims are back! 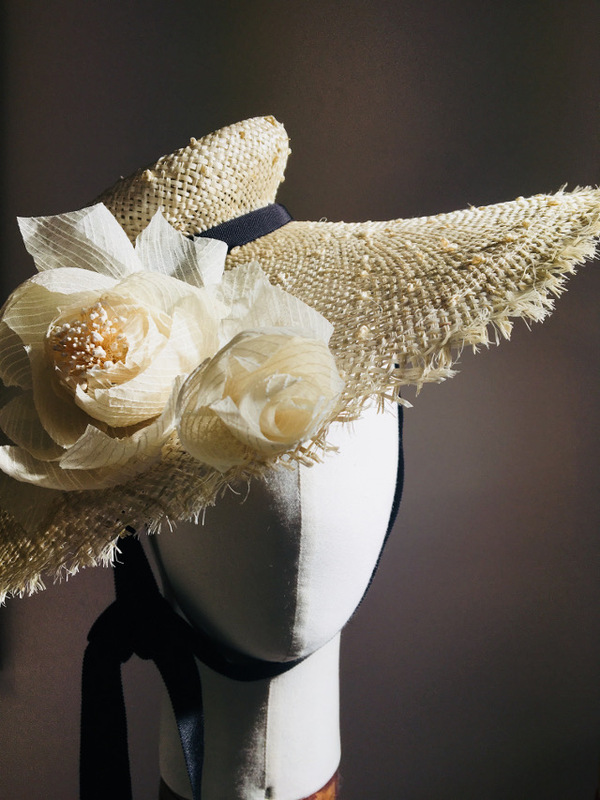 In this class we make a relaxed sisal straw hat with very little help from a hat block. Using nothing more than, heat, pressure and steam, the natural elements in sisal straw are coaxed into a free form crown shape with a large elegant brim. 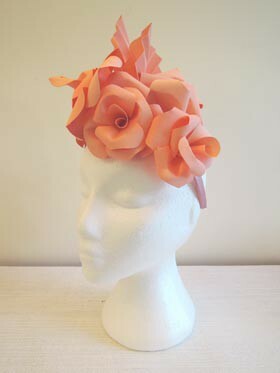 In this class you will make a beautiful hat for the spring and summer seasons. 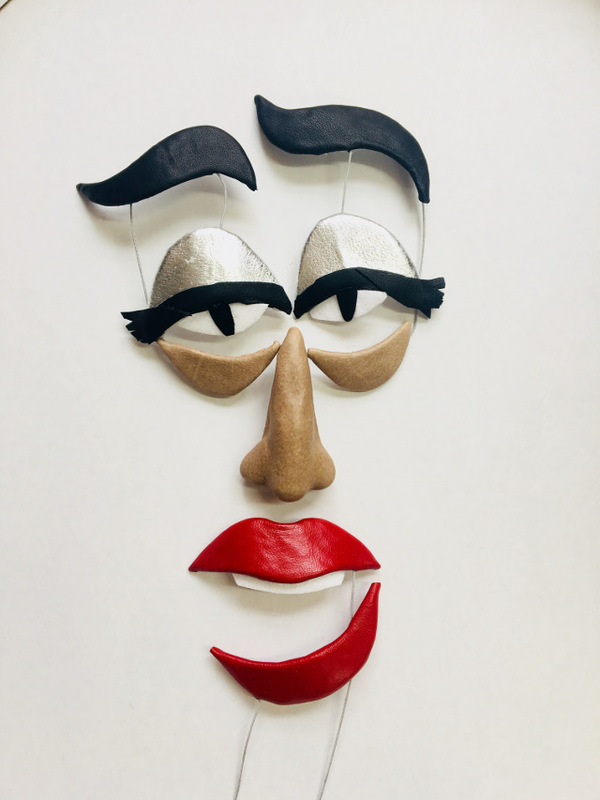 Make a disembodied face in this 'art led', Picasso-inspired class. 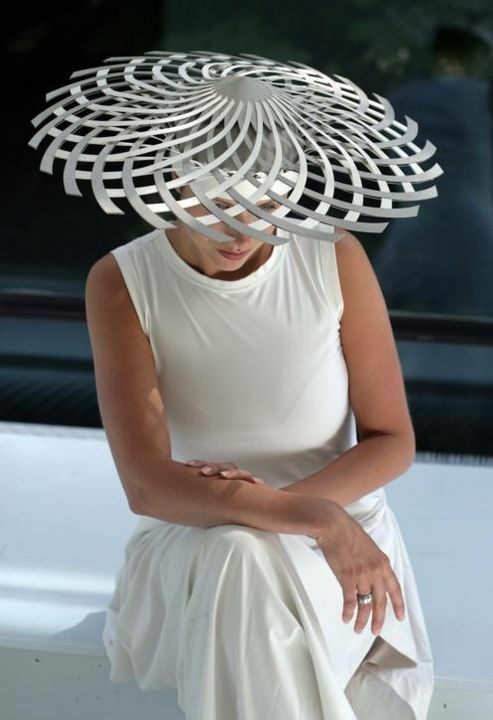 You'll learn how to shape and mould Foss into elements to be used alone or as adornments on a hat or headpiece. Technique taught is all about handling Foss shape and learning about its many applications. A great class for makers with ballet students or performers in their lives. In this class we make some beautiful jewelled leaves, feather shapes or petals for flowers to use as trimmings for your headwear or as a bridal headpiece. 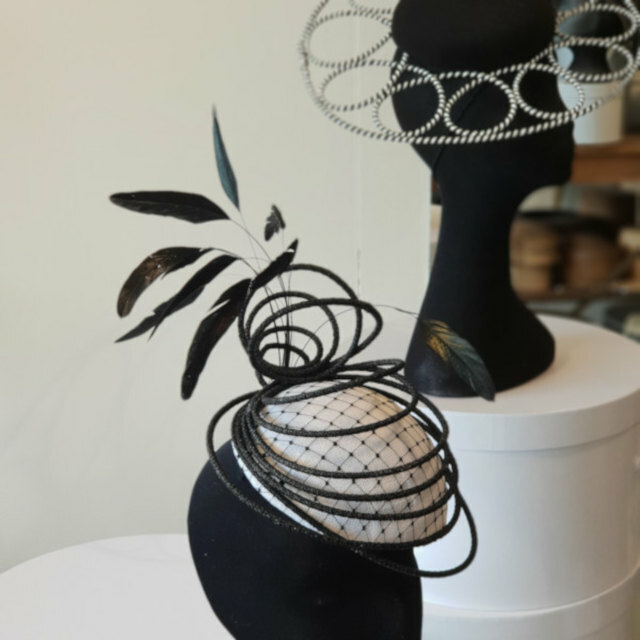 The art of making model elements for trimming millinery is not a common one. 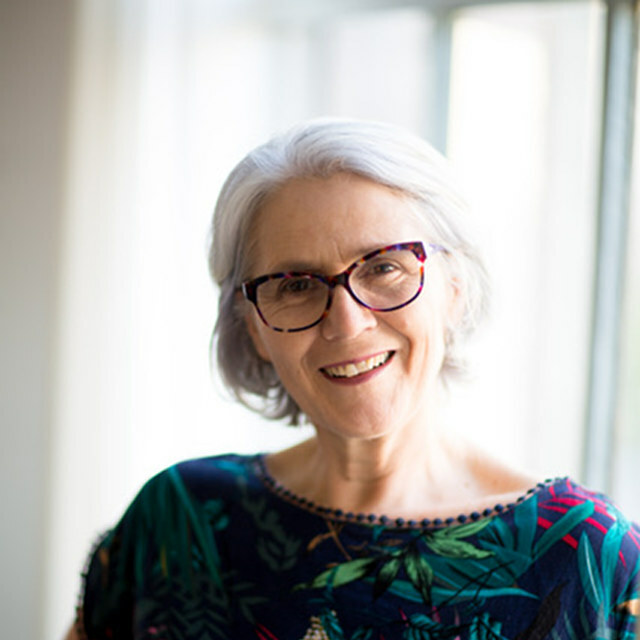 Rose brings her extensive knowledge of bespoke trimming techniques learnt throughout her career in theatre to this class. 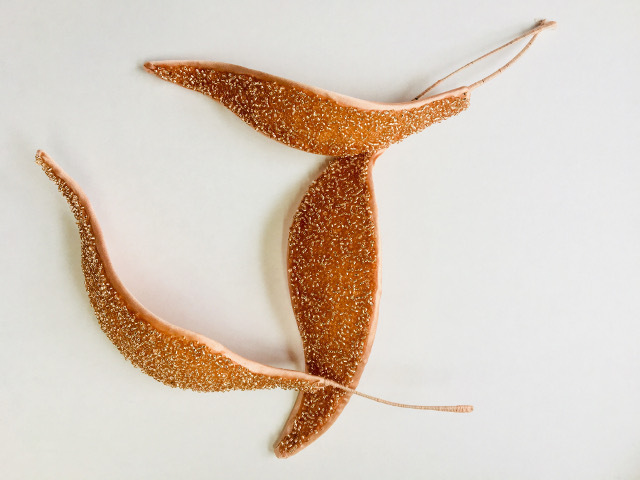 Cane is great for creating elegant curves and is much, much lighter than wire. The cane will be manipulated, using a hat block, to develop interesting shapes. These shapes will become an integral part of the hat, perhaps a brim, or as trim for the hat. During the first half of the workshop the cane will be shaped, manipulated and prepared for covering with braid. During the second half of the workshop the cane will be covered, strength of the shape secured, and positioned within the headpiece. These gorgeous and adaptable braids have been used in millinery since the 1940's. This workshop will explore the traditional ways of using racello braid through to modern sculptural forms. From sewing these braids in the traditional circular pattern to covering wire shapes. Also learn how to make a variety of racello braid trims; sculptural bows, flowers and double twists. 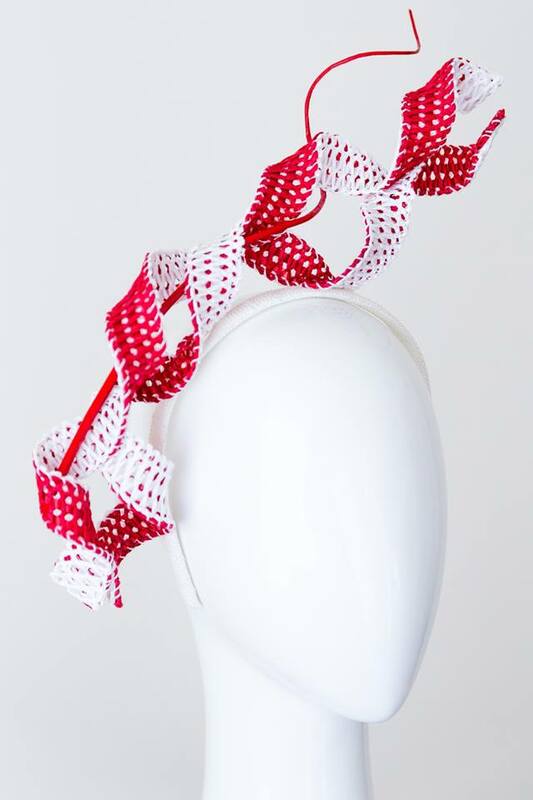 At the end of the class you will have made several samples and at least two trims that can easily be sewn on a base or headband. The craft of using good quality paper has become very popular over the last ten years or so and Mandy knows how to get the best out of it. 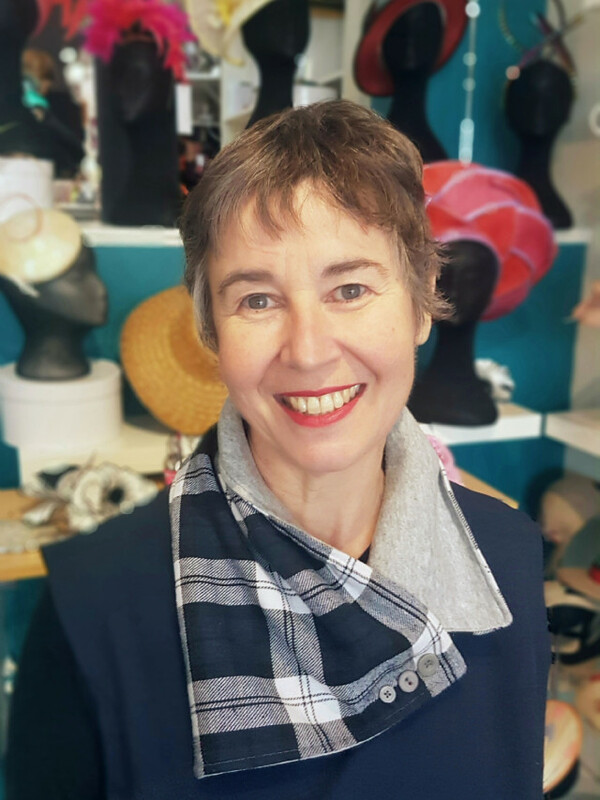 Come and learn how to make her proprietary paper rose that she has used to make exquisite millinery and bridal displays. 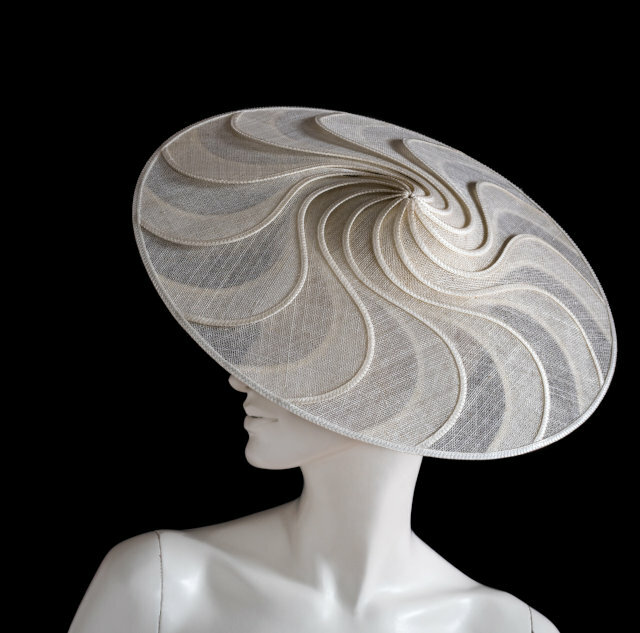 One of the techniques I love to work with, is using sinamay not only as a blocking material, but as the foundation for intricately flat pattern hats. During this workshop I will invite you on a journey to explore this wonderful technique. I will guide you during the process of experimenting, drawing of a pattern and the construction of sinamay parts to create a shape with a rhythmic movement. During this workshop you will also work on several other techniques like shaping, folding and edge finishing. Level Intermediate - Advanced with sewing machine skills! 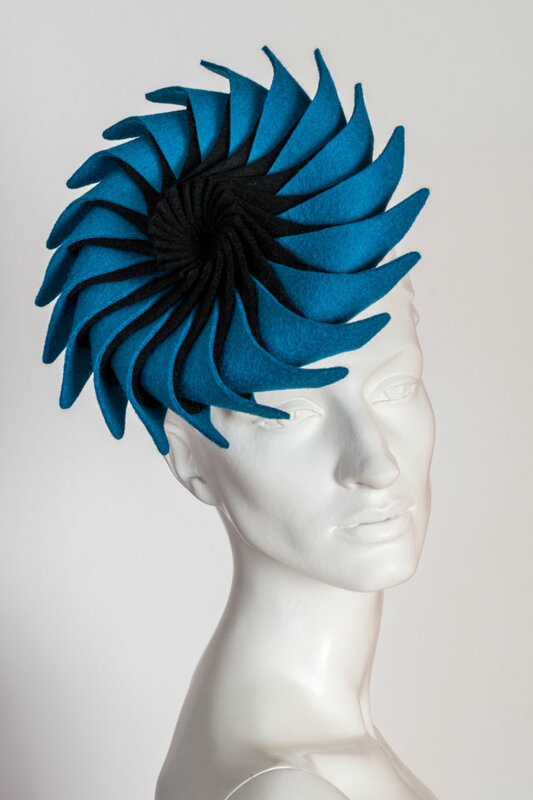 Explore some exciting techniques to create a head piece out of industrial wool felt. 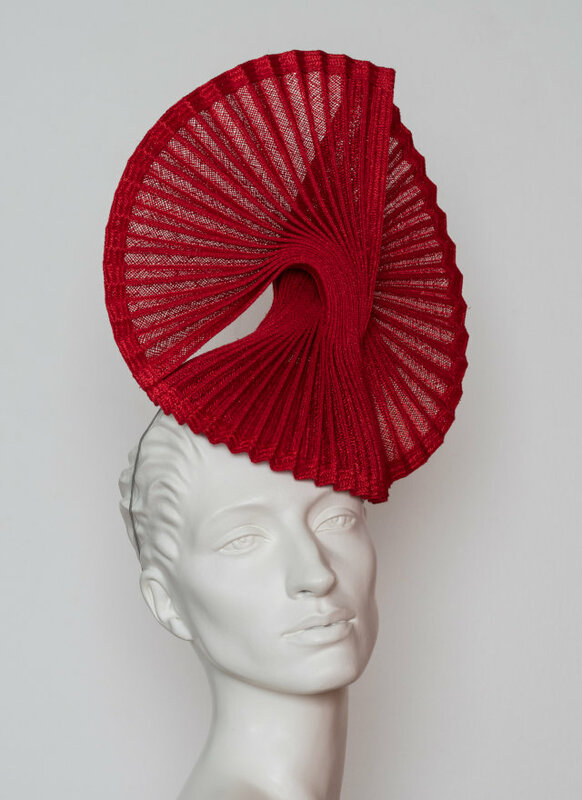 During this workshop you will experiment with the magic of flat patterns to create a hat shape with a sculptural effect. If you are looking for the boundary and balance between design and functionality this is the workshop for you! 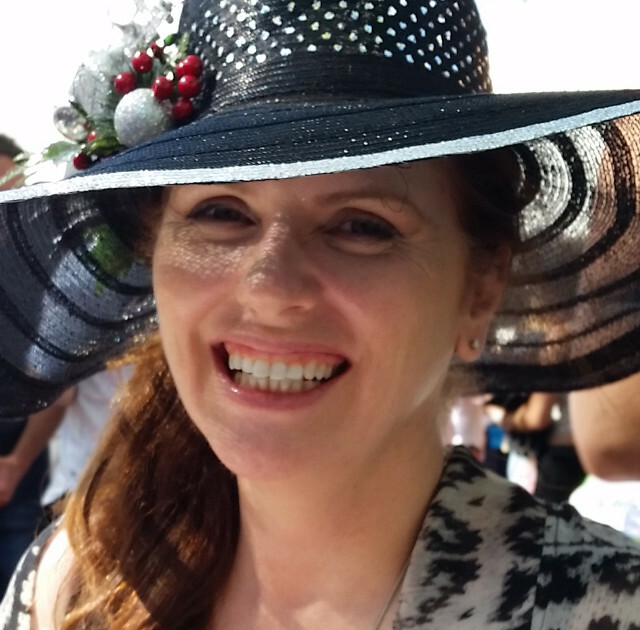 For those who will join me on this journey basic millinery skills are an advantage. 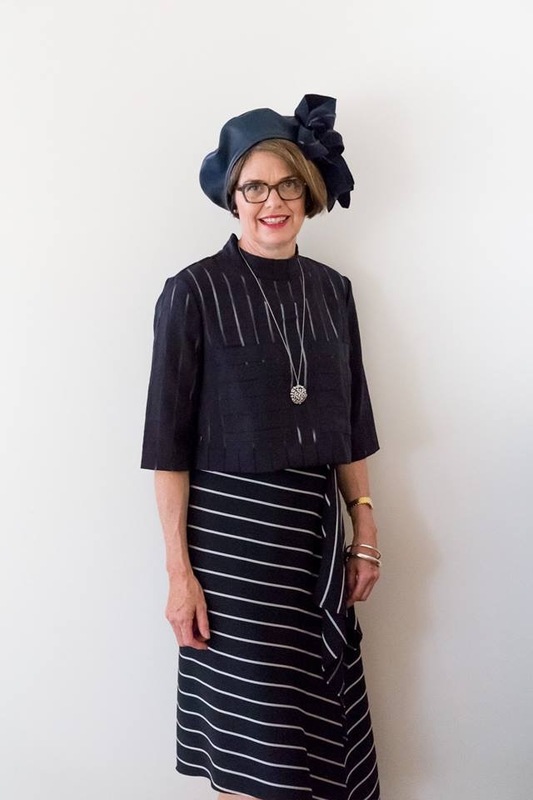 During the past few years I have developed a special technique to use straw braid as the foundation for pleated hats and head pieces. 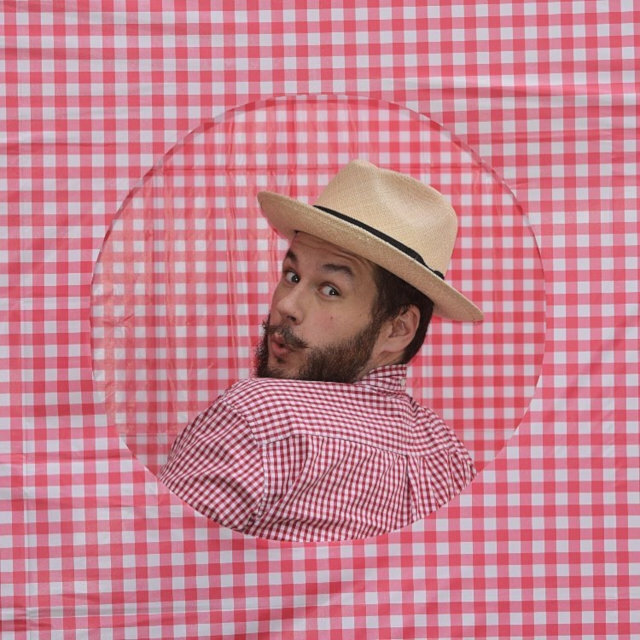 During this workshop I will invite you to discover the wonderful secret of my pleating technique. During this workshop you will create a head piece and also work on several other ways to work with straw braid like twisting, shaping and constructing. For those who will join me on this journey basic sewing machine skills are an advantage. Level Intermediate with sewing machine experience! 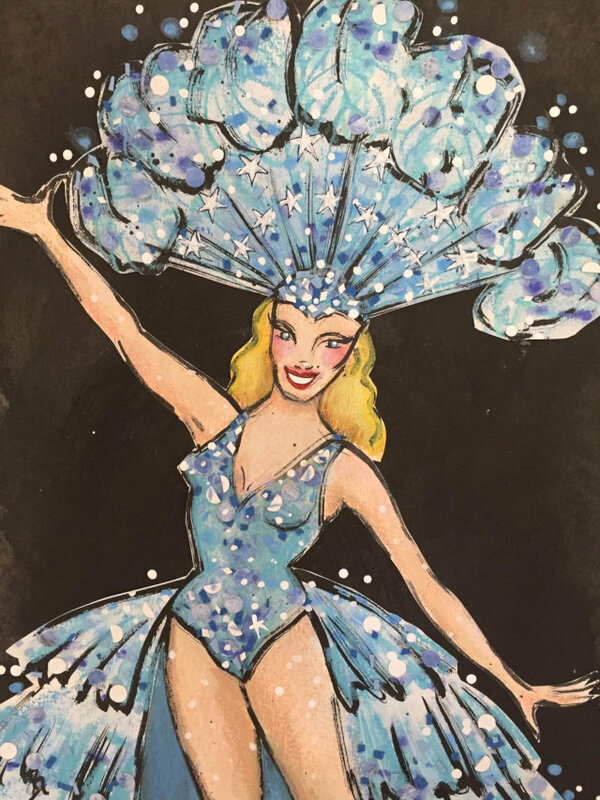 Using some very basic materials, Lindsay will show you how to create a low-budget foundation for a Show Girl headpiece. You will then be able to take this foundation to William Bobbie Stewart's workshop for decorating. The world of stage and performance is guided by budget, usually very small budgets. William will guide you through taking your Foundation Show Girl piece from Lindsay Whitehead's class turning it into something spectacular. 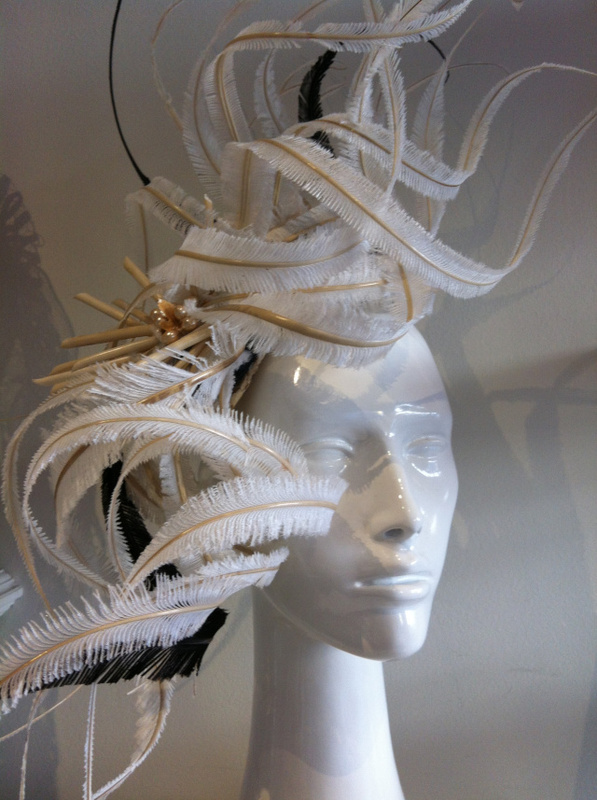 You can use ostrich feathers and silk or found objects and fabric offcuts - the choice is yours. There are a lot of dye types available to the professional milliner, sometimes choosing the best one for the job can be a tricky thing. 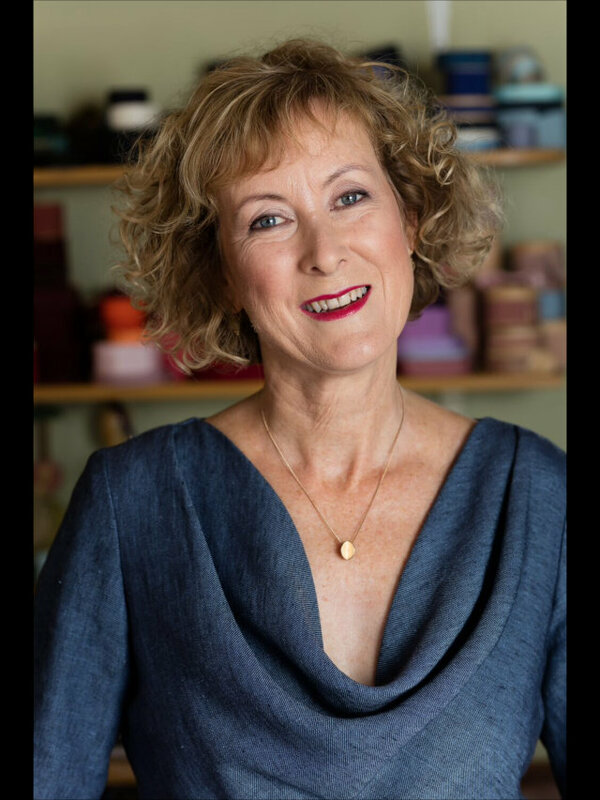 Join Serena to test a range of readily available specialist dyes in a safe and fun environment. 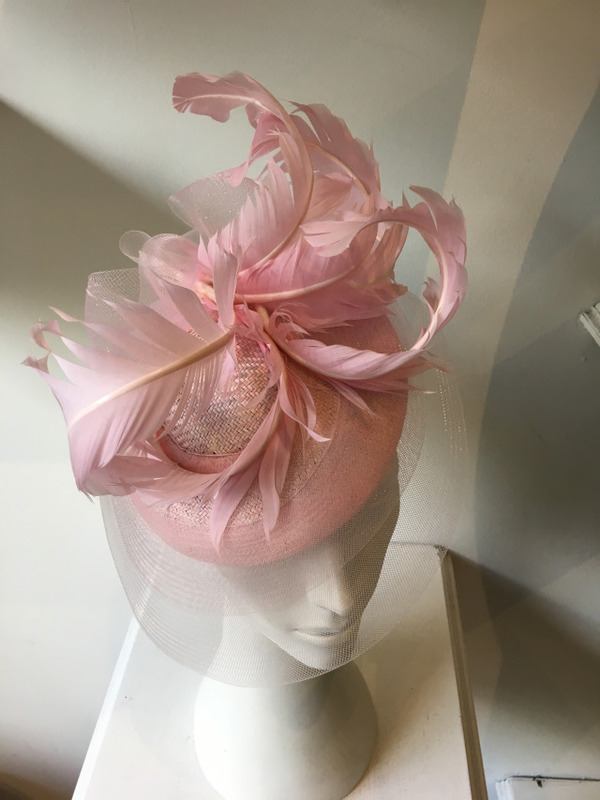 You will be testing 4 different dye types on offcuts of millinery materials in very pale colours or preferably uncoloured. Having mastered the basic dyeing techniques learn how to use dyes to create subtle watercolour effects on silk fabrics for flower making and on straws for ombre effects. Participants are encouraged to experiment with dyes to create new effects. Ideal for performance and theatre these foam wigs add a gorgeous cartoony look when on stage. Use these techniques to create Rococo looks, an Egyptian Pharaoh, Marge Simpson, Shirley Temple and many more. We will teach you how to use two types of foam for different looks and the best way to shape it. We will also be using Lycra to make long “hair”. Go large with this wonderful lightweight material and use most of your normal colour sprays, glitter and acrylic paints to complete the look. You will need a skull-cap base, which we will provide, made from FossShape. We will also provide all foam materials.